Staying productive on the road is never easy. Being away from your regular workplace introduces a whole new set of distractions to wrestle with. Never mind the draw to explore a new city. This is a problem millions of us face regularly, and there are plenty of possible aides out there. Whether through gadgets or browser extensions, staying productive on the road is getting easier. Yet based on my own experience of working while traveling long term, one app stands out more than most when it comes to solving this problem: Evernote. Evernote has not paid me to write this article, but it’s no secret that I love the Evernote app. It’s a massively scalable note-taking tool, with tons of powerful features and integrations, many of which are perfect for helping each of your trips run smoothly while remaining productive. To try and shed light on as many of these features as possible, I chatted with Joshua Zerkel, Director of Global Customer Education and Community at Evernote. On top of features I was already using, Joshua shared some neat new tricks that I hope you’ll find useful. Without further ado, here are six ways to use Evernote to keep you powering through your tasks, no matter where you are in the world. As you’re planning your trip, save all your itineraries, bookings, confirmations, schedules, etc. to an Evernote notebook. I always save phone numbers of local taxi companies, the address of my hotel, lists of places I want to eat at, and places with good Wi-Fi. Then, make this notebook available offline! As soon as you land, you’ll be able to access everything you need, even without a data connection. This has saved me plenty of headaches over the past few years. When it comes to saving information, you can do this all manually by copy-pasting everything directly into Evernote. But the Evernote Web Clipper makes this a lot easier (see below), allowing you to quickly save entire web pages, images, or parts of web pages, to specific notebooks direct from your browser. To take this one step further, sign up to the free app automation platform, IFTTT. This allows you to connect Evernote to other apps you use, making collecting information even easier. In my opinion, the most useful IFTTT integration here would be sending starred emails to Evernote. When you receive a confirmation email, star this in Gmail, and it’ll automatically be saved to Evernote. You can browse all of Evernote’s IFTTT applet integrations here. Unfortunately, you can’t embed a movable map into Evernote, but the next best thing is MapClipper, a web tool that integrates with Evernote so you can add a Google Map to a note. Joshua explains, “Simply type in the address on MapClipper, then choose a new note name, or select an existing note, then click the save button”. The map will save as a static image within your note. If that note is saved for offline viewing, you can see the map anywhere. But if you want to click the map to open this in Google Maps, you’ll need a data connection. A number of impressive travel apps (other than MapClipper) integrate with Evernote, and you might find some of these useful on the road. IdeaPlaces (iOS): When integrated with Evernote, this app automatically saves the location data of each of your notes. This allows you to find notes based on place rather than just content. This can be particularly useful if you travel a lot and want to search for notes based on where you were at the time. ABBYY Translator (iOS, Android): When you’re abroad, just take a picture of printed text in up to 60 languages, and ABBYY will translate this for you. You can then save this translated text directly to your Evernote account. Glympse (Android, iOS): This app allows you to easily share your location with friends and family. But you can also use it to store where you’ve been for future reference in Evernote. This is handy for keeping track of cool places you find while exploring new locations. We all know how frustrating a growing pile of business cards can be. Luckily, Evernote has a solution. The camera built into the Evernote mobile app is able to recognize business cards. This means you can scan cards as you receive them, and toss the physical ones. With Evernote’s OCR capabilities, you’re still able to search text within the business cards to find them in the future. And to help you stay even more organized, tag each note as you store them, with information such as the event where you met the contact. This is helpful when you’re meeting lots of people, such as at a conference or networking event. Another cool tip is that if you connect your Evernote account with LinkedIn, other info such as a profile picture and current role will be displayed along with each business card. And if you promise to get in touch with certain people you meet, you can also set date and time reminders (by pressing the alarm clock icon in your note). Time is tight enough when you’re on the road, so any document templates you have at the ready can be a godsend. I won’t explain exactly how to create Evernote templates here since we’ve done that before. But once you’ve figured it out, templates are a fantastic tool. Evernote has free templates for business trips (below), meeting agendas, project planning, and many more. But for anything else, it’s easy enough to create your own. Once you have a few templates ready to go in Evernote, it’s best to create a “Template Library Note.” This is basically a note that contains links to all the templates you have stored in Evernote. Save this as a shortcut, and you’ll instantly have easy access to each of your templates. Just because you’re away from the office, it doesn’t mean you won’t need to collaborate. 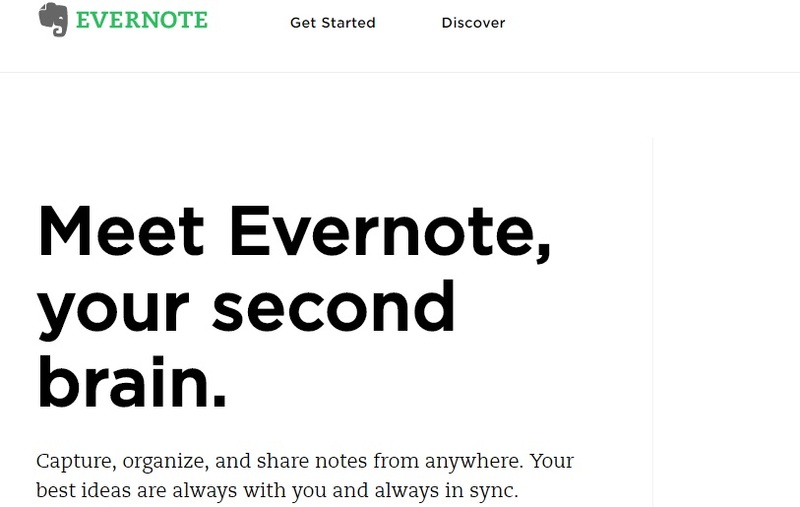 If your colleagues also use Evernote, then a shared notebook could be just what you need. You can learn more about shared folders and how to use them here. There’s no denying that Evernote is a powerful tool and one that — if used correctly — can really help you to stop wasting time and stay focused while on the road. If you’re just getting started with Evernote, integrating all of these advanced features may seem a little daunting at first. But once you’ve figured out a workflow that works for you, they could make your work-life on the road far easier. What other productivity advice, Evernote related or not, would you give to people who spend a lot of time traveling?